It's a dog's life. Can you help us save it? I was 15 years old when we lost our beloved Lab, Ben. He bolted from our family home straight into the path of a passing car. One moment he was there. The next moment - gone. If you've ever lost a pet, you know how heartbreaking it can be. That's why it's crazy that we turn a blind eye to the 250,000 pets that are euthanized in Australian pounds every year. Someone ought to save these animals. Well, today, someone is. That person is Britt Bloomer, the founder of Pound Paws, an Australian not-for-profit dedicated to getting dogs off death row. 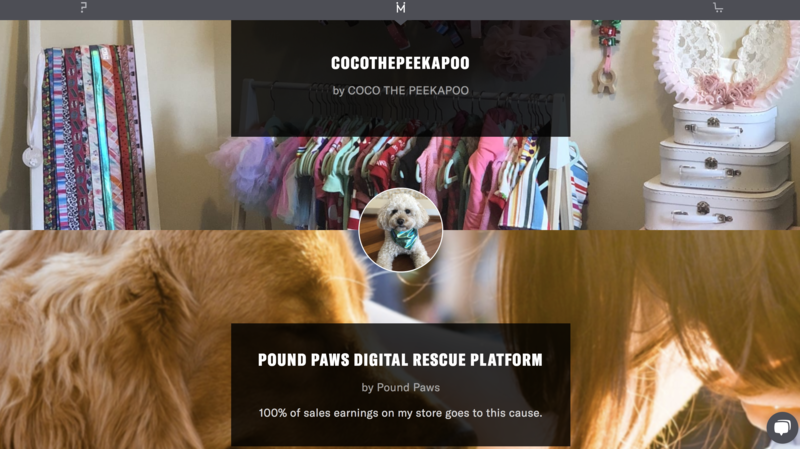 Since 2014, Pound Paws has helped more than 3000 pets find new homes using the power of web search and social media. We love what Britt is doing, so we jumped at the chance to partner with her on our very first campaign. 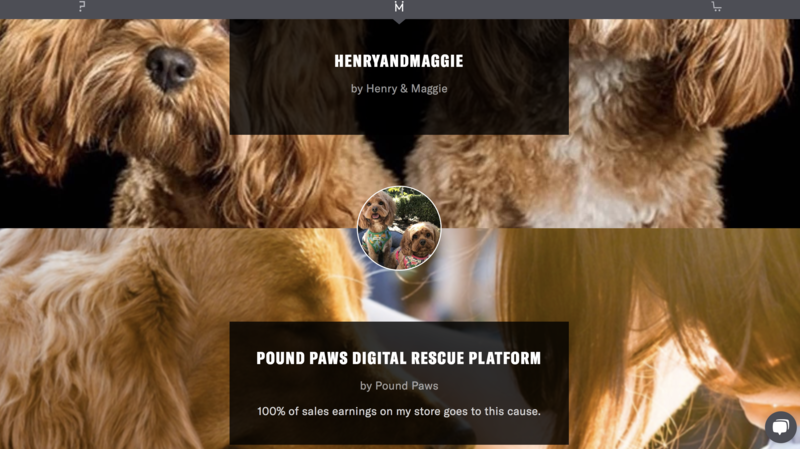 Starting today, and running through to mid-November, this campaign aims to raise $8,000 to help Britt develop a new website for Pound Paws that will allow its network of 150 pounds to upload beautiful photos and stories about pets that need rehoming. When we reached out to our creator community to see who wanted to participate this campaign, people went for it like dogs at a frisbee. 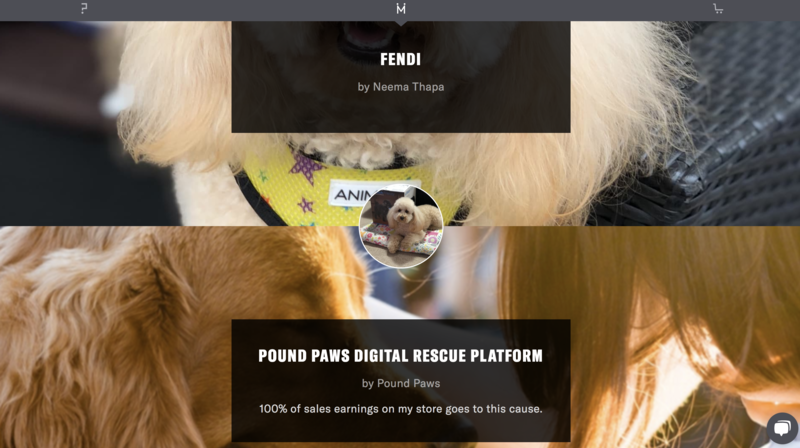 The creators behind this campaign include a TV star, a fashion blogger, and numerous ‘dogfluencers’. These are people (and celebrity pooches) from all walks of life, united by their passion for man's best friend. How can you not admire these social leaders? 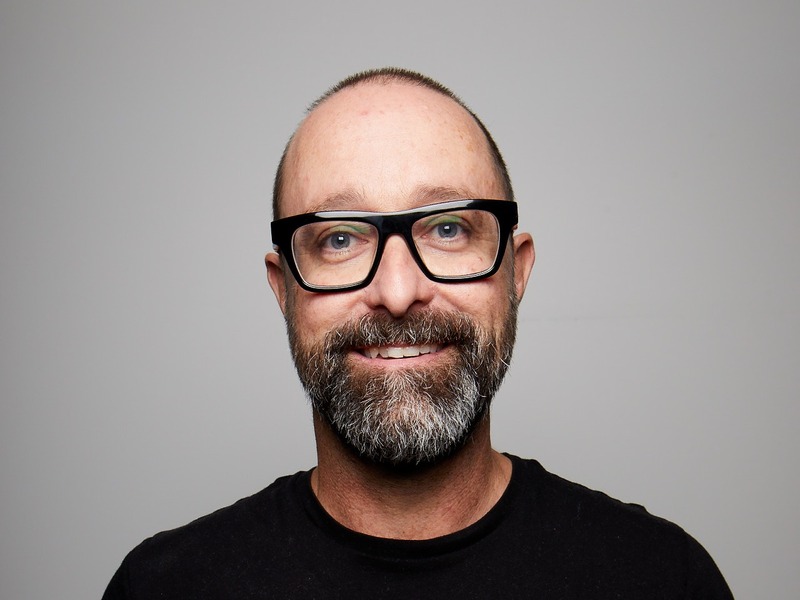 In partnership with The Merrier, they're using their influence for good. That's what social media should be about, right? We think so. 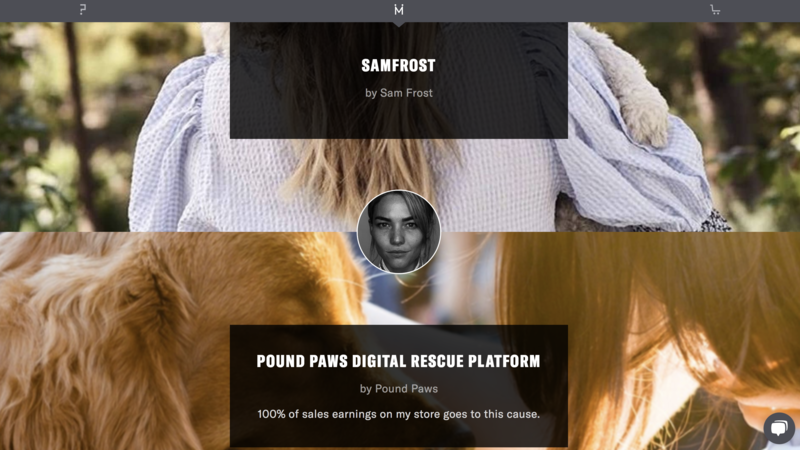 Here are some of the creators who are leading the Pound Paws campaign. I've included a link to their Merrier storefronts. Please click the image to travel to the store. Sam Frost - Australian TV/Radio personality (@fro01). Tegan Seymour - Fashion blogger and procrastinator (not!) (@teegly). Fendi Gomboc - Sydney’s favourite Toy Poodle and self proclaimed queen of head tilts (@fendi_gomboc). Henry Arthur and Maggie Rose - Pawfect puppies from Queensland that love to meet new friends and help make a difference (@henry.and.maggie). If you love dogs, you'll love the products on these storefronts. They come from our wonderful brand partners in this campaign. You won't find a better selection of ethical pet products online. We have Essential Dog's 100% natural dog grooming products; Wag Dog Treats’ 100% natural single ingredient chews; Frontier Pets’ free range, ethically farmed pet foods, manufactured by a company dedicated to ending factory farming; and East Coast Collective’s dog toys, made of naturally dyed and ethically sourced wool, manufactured in Nepal, with proceeds going to support local families and communities. No fleas on these brands, no siree! The way things work on The Merrier is that every product sale on a storefront drives money to the creator’s championed cause. In this case, the cause is Pound Paws! 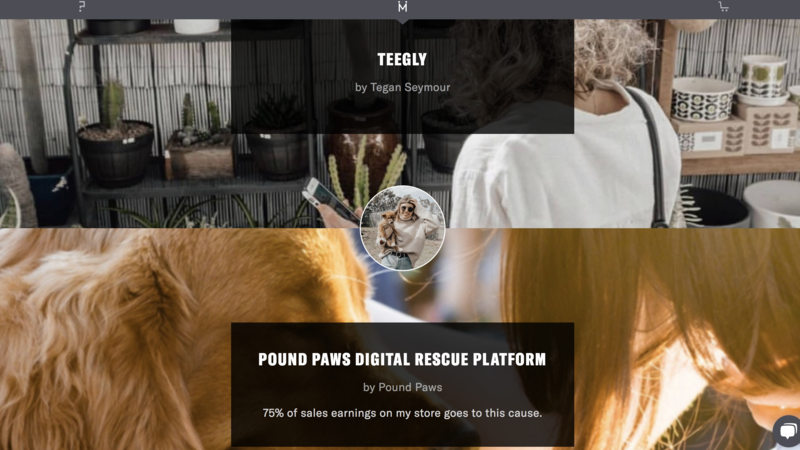 Every product you buy from one of the storefronts listed above delivers a financial contribution to Britt's mission to get pooches out of pounds. Talk about money well spent! 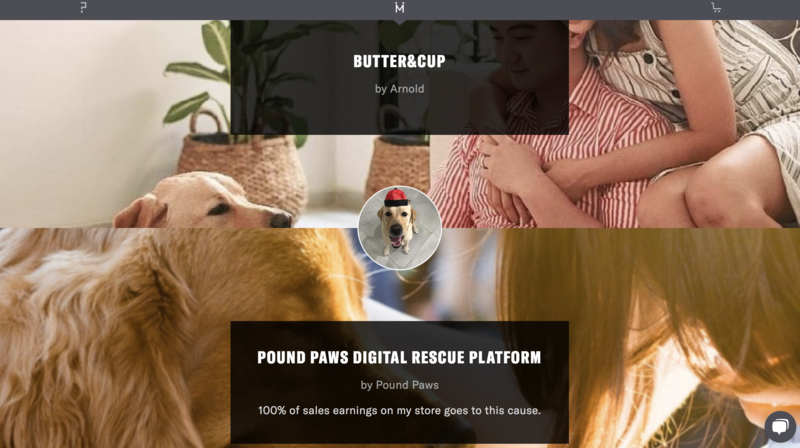 If you want to donate directly to Pound Paws, you can do that too, from any of these storefronts. Head over to the Cause page, choose how much you want to contribute and the deal is done. Somewhere there's a furry friend, dreaming of their fur-ever home, thanking you for it. If you love this model, why not tell your friends by sharing a storefront, or some products you love, on social media. We're just getting started and we need your support. With your help we can make this campaign a soaring success, to prepare the ground for many more campaigns like it. 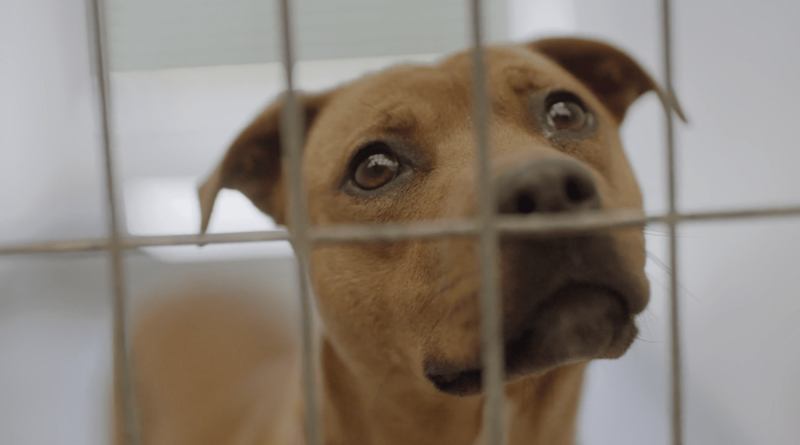 Pound Paws is one of thousands of charities and not-for-profits working hard for animal welfare and well-being. We aim to bring all these organisations on board The Merrier, to match them up with ethical brands and purpose-led creators, and thereby enable the whole world to participate in their mission. This is our dream. Do you feel it? Let's change the game for animal rights and animal activism, so that no creature has to end its days locked in a cage, but is able to live out its life with happiness, dignity, and love.